Nigeria’s Super Eagles brought their 2019 Africa Cup of Nations Qualifiers to an end with a 3 – 1 victory over the Pirates of Seychelles at the Stephen Keshi Stadium, Asaba. The visitors got themselves into the game through Boby Melaine’s goal in the 41st minute but a first-half penalty kick scored by Odion Ighalo and goals from Henry Onyekuru and Moses Simon in the second half helped Nigeria to end the AFCON qualifiers as Group E winners. Coach Gernot Rohr decided to stick to a more familiar starting lineup as William Troost-Ekong and Kenneth Omeruo were preferred centre-back partners, with Shehu Abdullahi regaining his right-back spot after missing out on the previous games through injury. Galatasaray’s Onyekuru made his full international debut, replacing Samuel Kalu on the right wing of a 4-3-3 formation – with Shengai Shenhua’s Odion Ighalo leading the line. The debutant of the day, Paul Onuachu came on for Oghenekaro Etebo in the 65th minute and made his impact felt in the remaining 25 minutes. 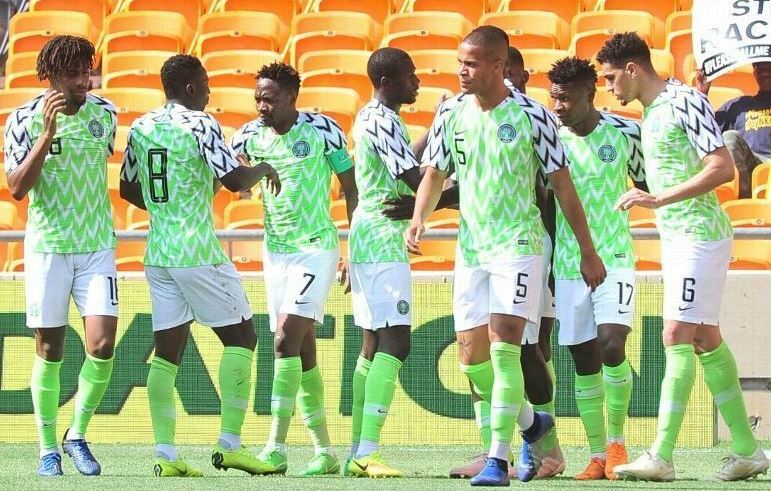 Despite starting their AFCON Qualifiers with a home defeat to South Africa, Nigeria finished brilliantly top of Group E with 13 points regardless of the proceedings of the other Group encounter between Libya and South Africa in Sfax on Sunday. The Super Eagles continue preparations for the continental showpiece with a friendly game against Egypt on Tuesday at the same venue.